Food: This is often the biggest first step. Making the decision and taking the actual steps to begin my diet was a significant step. I bought into a plan. I cleaned out our cabinets of junk food and I had a start date. Faith: If you hope to grow spiritually, it might be good to buy into a plan. Maybe a daily scripture reading, practicing a spiritual discipline or working through a book like Experiencing God. Once you have a plan, set a start date and do it. 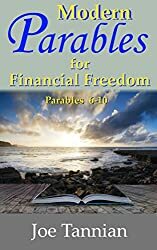 Finances: If you have more debt than you’d like, you should have a plan on how to get out of it. Find a church that is running a Financial Peace class or contact Crown Ministries. They will have a plan for you. Join a class or arrange a meeting that will be your start date. Food: Having someone else join you in your venture will help support you in your weight loss journey. My wife and I went on the diet together. This was a great help to her and me. We encouraged each other. We both were on the same plan so when buying food we cooperated. When I wanted to cheat she was their to nix my temptation. I did the same for her. Often your mate, if you have one is your best choice as a partner. If not join a group or form your own group within your church, coworkers or friends. The Internet today and variety of communication means makes it is easy to do a joint effort with someone who lives far away. Faith: If you are doing a Bible reading plan or spiritual discipline try doing it with your spouse or other close friend. Encourage each other and discuss topics together and lessons learned. Be sure to set up at least one weekly conversation with your partner. Your friend will very likely help you going at a time when you’re feeling lazy. Finances: If you’re married, you will have to do this with your spouse. You need to do this together. 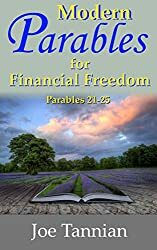 Financial Peace will have you working with your spouse to set up a budget. Your class will have others working on similar issues as you. Forge a friendship with someone else in the class and have a meal together. Try to encourage each other. Food: This is similar to number 2 above. However, it can be helpful to have a third party involved who both you and your peers are accountable to. Find a food coach, dietitian or nutritionist. They can offer sound advice and strategies that a peer might not be aware of. They will help you stay on track. Typically, you’ll have to pay for this service but it can increase the likelihood of success. My wife and I both had a health coach who was very helpful. Faith: In matters of faith a mentor can also be of great help. They will provide similar advice and support. 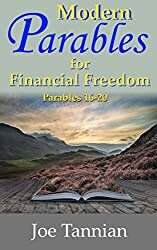 They too will help you keep on track and will help your efforts be more about life change than just simply doing your Bible reading or the spiritual discipline that you might be practicing. If you can’t think of a good mentor, ask your pastor. He might help you or recommend someone with the right skills. If you don’t have a pastor, join a church! Realize your mentor will be blessed by helping you on your journey. Finances: Your Crown adviser or Financial Peace instructor will likely act as your mentor. They will have lots of practical suggestions and answers to your specific problems. Listen to them. Food: You can do this at multiple levels. The more you track, the more likely you are to succeed. I recently joined and started using myfitnesspal.com. So far it seems like a great application for tracking food and exercise and creating a plan for you. It’s FREE too. If you choose not to track your food and exercise at least track your weight on a week to week basis. Remember slow and steady wins the race. The nice thing about a nice slow and steady decline in your weight is that it will more likely translate into true life change. Faith: Regarding your faith, tracking your results might not be as helpful. A reading plan typically has tracking associated with it. However, other disciplines maybe not. Consider keeping a journal and tracking your insights and meditations and your prayers. Tracking prayers can be an encouragement as you see many of them answered over the course of a year. Finances: If you are in debt or have a problem with keeping your accounts in the black or positive, you will need to set up a budget. Again, Crown or Financial Peace will help you do this. They will help guide you in creating a budget. Food: For me watching television was an activity that I often combined with snacking. So when I cut down on my TV watching my snacking decreases. When I’m tempted to snack while watching television, having healthier options available helps me satisfy that craving. Faith: It’s funny but watching television is a distraction in my faith as well. I’ve recently changed my TV service to basic. I don’t get as many stations and I not only save a few dollars every month but I watch less television. This makes it easier for me to find time with the Lord. Finances: If you’re in debt, getting rid of your credit cards will very likely help you to be less tempted with extraneous purchases. If you find window shopping produces too much temptation don’t go to the mall. Flee your temptations whatever they might be! 6 Rejoice in reaching milestones. Food: Be sure to set up some milestones along your weight loss journey. Set up a few sub-goals along the way. As you meet these goals, celebrate! Not with food necessarily but with a special date or activity that marks your success. Faith: Celebrate your faith journey. The Israelites had many feasts to celebrate and remember how God had blessed them. They often set up a pile of stones as a tribute to God working in their lives. You should celebrate your spiritual milestones too! Maybe call a friend or coworker and share with them how you’ve met some goals and how you’ve been blessed. This will encourage you and possibly encourage someone else who has been slipping in their journey. Finances: Be sure to celebrate as you pay off each credit card or major debt. Rewarding yourself with something small or a get together with friends to share your good news. 7 Don’t stop when you reach your goal. Food: For diets to be successful they need to result in life change. You might want to scale back as you approach your goal. You should try to transition your food diet to a life long maintenance plan as you approach your desired weight. This transition needs to be something you can live with the rest of your life. You don’t want to go back and gain all that weight you just lost. Faith: In your faith journey, we will have seasons, but when you reach your goal possibly do something different for a while. Participate in a church or community ministry or set a completely different goal. If you were doing a reading plan, purchase Richard Foster’s Spiritual Disciplines book and practice one discipline a week or month as you read through the book. 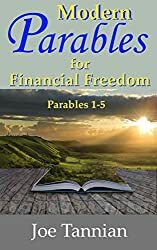 Finances: If you’ve managed to pay off all your debt, begin to expand your plan to savings or giving more away to a cause you’re passionate about. I’ve noticed that it takes, commitment and discipline to succeed in my food intake, faith and finances. Commitment and discipline are words we don’t embrace. It sounds too much like work. 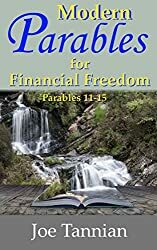 However, the health gained in weight loss, the joy in walking closer with Jesus, and the freedom we gain by losing debt far out weigh what might feel like the sacrifices associated with those disciplines. With practice, rejoicing in the blessings, and forming relationships around these activities we can make them a more natural part of our lives. Just as in sports or music, improving in an area requires sacrifice and activity or practice. As we improve or as we succeed, the sacrifice might not feel so sacrificial. Attempt to embrace the day to day activities knowing it will bear fruit and enjoying the small nuggets of enjoyment you will experience. God Speed in your journeys. Previous PostSeven FREE ways to GiveNext PostStressed about Money?